I didn't get the job. It's cool, though. Look at all the cool crochet stuff I've been able to crank out! 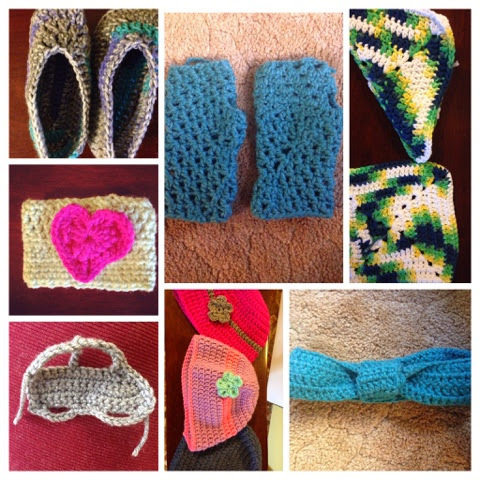 Slippers, arm warmers, dishcloths, coffee cozies, hats, headbands! All the things! I've also completed a couple scarfs. If I could finish a blanket, I'd be doing really well. 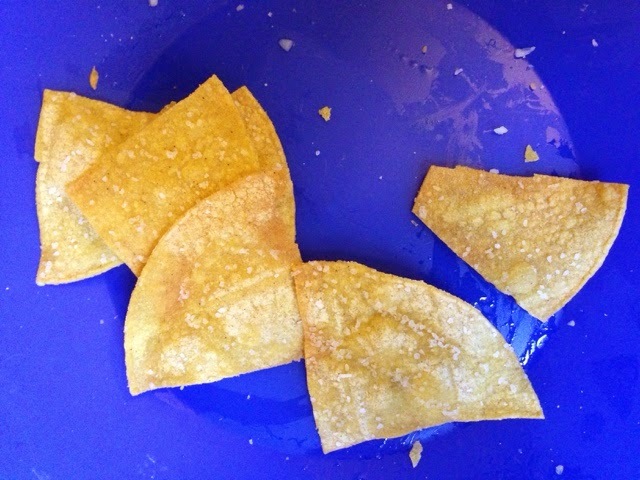 Recently, I've become a little obsessed with making my own tortilla chips. Because usually I buy a bag and I'm the only one who eats them and they get stale before the bag is empty. Now I just buy corn tortillas and make a few at a time. Super easy and quite tasty. 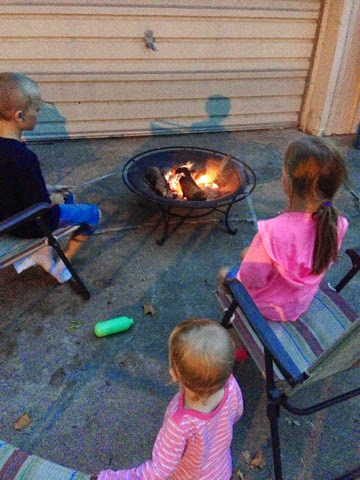 We got out the fire pit the other night. I'm not a very good fire builder, but I managed to get a small one lit. It was super windy that night, though. And we didn't burn anything down! 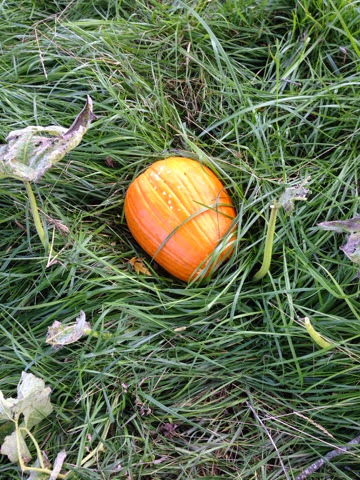 This is our pasture pumpkin. It grew, apparently, from all the old pumpkins we threw over the fence last year. There were a ton of vines, but we only got the one pumpkin. The calves have since trampled all of it, so the chances of finding another one are slim.